STOCHOLM -- Ailing Swedish carmaker Saab Automobile said on Wednesday it had called in workers for a meeting after its parent company, Swedish Automobile NV, sought protection from creditors through the Swedish courts. "As we do on occasion, we have called them (workers) in for an information meeting, an update," Saab spokeswoman Gunilla Gustavs said. Saab sought breathing space from creditors on Wednesday, filing with a local court for bankruptcy protection through a "voluntary reorganization" while it continues to wait for promised new investments from two Chinese firms. "Obviously a restructuring is preferable to bankruptcy. But receivership is still a step closer to bankruptcy. We've always warned investors it was extremely risky," said Jann Maarten Slagter, director of the Dutch shareholders' association, VEB. Saab, rescued from closure by General Motors Co. in early 2010 by Dutch carmaker Spyker Cars NV -- later renamed Swedish Automobile -- has struggled for several months while it pursues funding from an assortment of Chinese and other investors. Production at its Swedish plant has been at an almost continuous standstill since April as suppliers refused to provide parts until they received payment. The company also failed to pay salaries in August. In June, Saab said two Chinese car companies, Pang Da Automobile Trade Co. and Zhejiang Youngman Lotus Automobile, had agreed to take a combined majority stake in the firm aimed at rescuing the struggling Swedish carmaker. The deals are still awaiting approval from the Chinese authorities. "The eventual purpose of the proposed voluntary reorganization process is to secure short-term stability while simultaneously attracting additional funding, pending the inflow of the equity contributions of Pang Da and Youngman," Swedish Automobile said in a statement on Wednesday. But the Chinese authorities have halted planned investments in the past, such as Saab's failed deal with Hawtai Motor Group in May and Sichuan Tengzhong Heavy Industrial machinery's bid for GM's Hummer, which collapsed in 2010. Swedish business daily Dagens Industri said late on Tuesday that Youngman would not get the necessary Chinese official approval to take part in the deal, citing several sources. Instead, state-owned Beijing Automotive Industry Holdings Co. (BAIC) or SUV maker Great Wall Motor were seen by Chinese officials as being more suitable partners, the newspaper said. A source told Reuters in May that Great Wall had been talking with Saab's owner about a possible tie-up. "At this moment, there is no money and they (Saab) have been waiting for money for more than five months. The problem is still the same -- they need the money," said Theodoor Gilissen analyst Tom Muller. 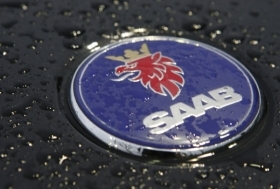 Swedish Automobile said that under the filing for voluntary reorganization Saab Automobile AB and two subsidiaries were asking the Swedish court to appoint an administrator with whom management would work to reorganize the company. Saab said it will present the reorganization plan to creditors within three weeks of filing the reorganization plan. Saab entered this same process in 2009 after GM pulled its funding and it exited later that year. According to Saab's annual report, the company paid 1.9 billion crowns ($290 million) in wages, social contributions and pensions for 3,208 employees in 2010. On that basis, the company had to pay out about 157 million crowns ($24 million) in staff costs each month last year. Saab now has about 3,640 employees. The reorganization plan aims to lower costs and create a "viable, competitive and independent organization," Swedish Automobile said. Saab asked for the court-appointed administrator to be the same lawyer who handled the 2009 Saab reorganization. The administrator will apply for a Swedish state wage guarantee scheme to cover Saab's wages, Swedish Automobile added. Trade in Swedish Automobile's shares has been suspended and the stock will be put on a watch list if Saab's court request is approved, Dutch market authority AFM said in two separate statements.